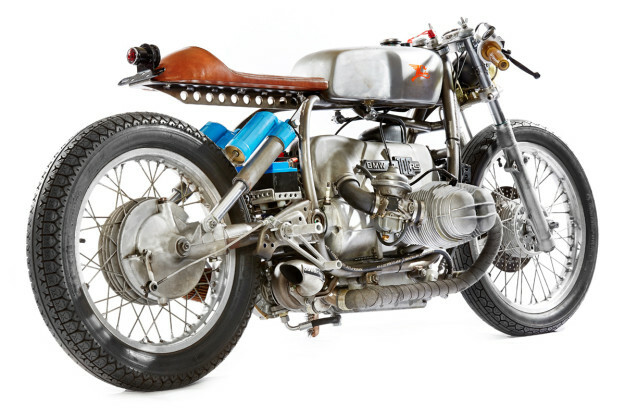 There’s always been a small but vocal clique of motorcyclists who want nothing but absolute power and speed. So why haven’t we seen more turbocharged customs? 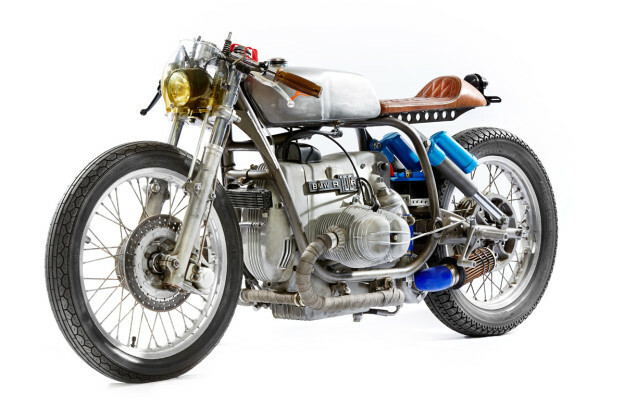 All four Japanese makers dabbled with turbo motorcycles in the early 1980s, but custom builders have remained shy. In the US, notable exceptions are the Del Prado brothers—and Icon Motosport, who turbocharged a pair of Triumph Daytonas for a Motorcycle vs. Car Drift Battle film. 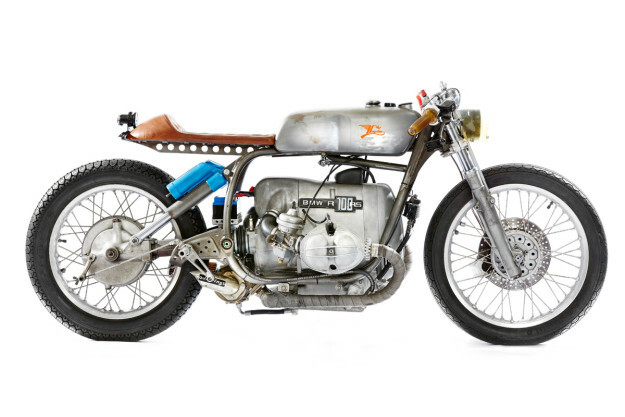 So when we heard about the BMW Turbo Salt Racer from Kingston Custom, our ears pricked up. 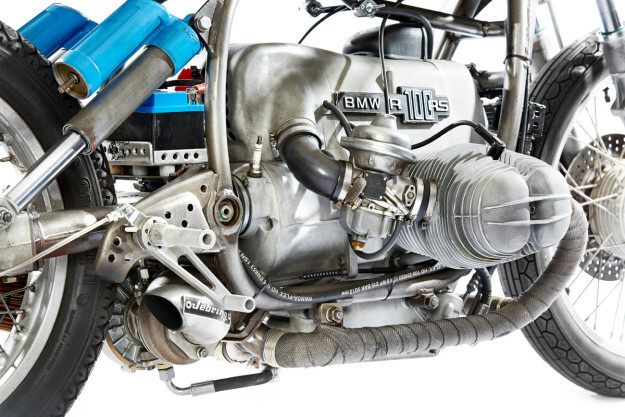 Tales of blown BMW racers from the inter-War years are legion, but we’d never heard of a blown airhead. Turns out there’s a low-key turbo scene amongst touring BMW owners in Europe, mostly driven by the kit specialist RB Racing. This scene caught the attention of Kingston’s Dirk Oehlerking, who decided to have a crack himself. 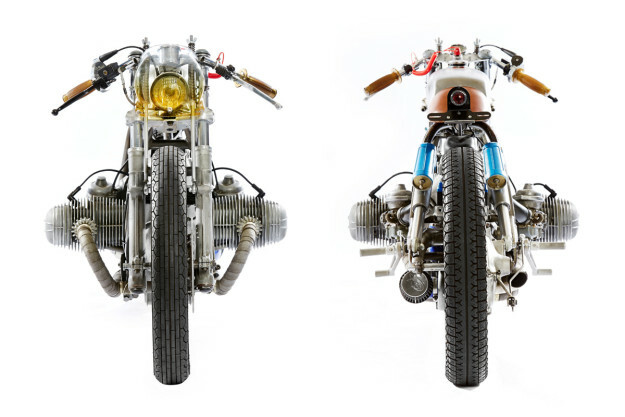 “I wanted to build a BMW with a turbocharger, Kingston style,” he tells us. The pistons have been machined down to 500 grams each, and Dirk has reduced the compression to 7.5:1. 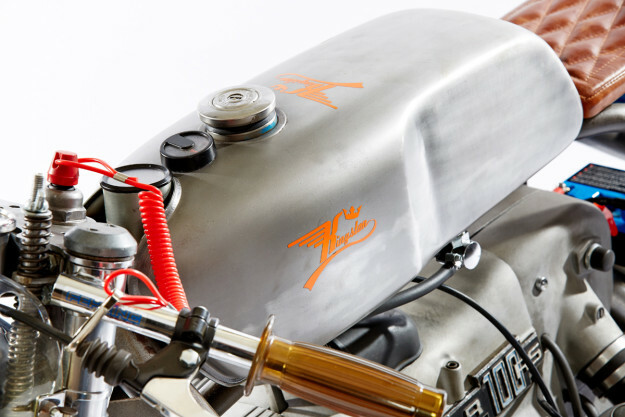 The 40mm Bing carburetor has been bored up to 41mm and modified to operate with the turbocharger and the increased petrol pump pressure. The engine now puts out 126 horsepower at 8500 rpm (93kW) when running 1.25 bar of pressure. The next step was to add the retro style that Kingston is noted for. The hoses, wires and cables have disappeared, and the starter motor and fuel pump discreetly relocated. 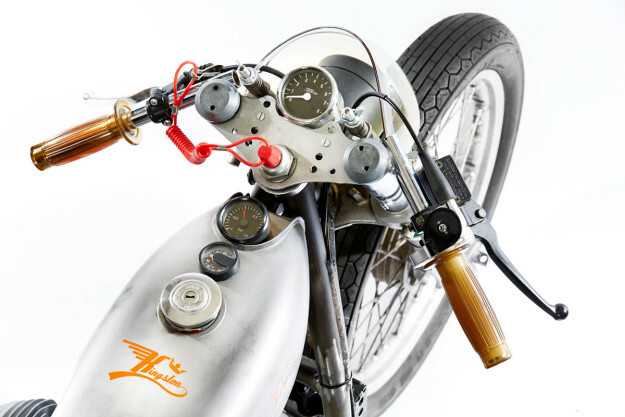 The frame has been stripped to the bare minimum, and fitted with Dirk’s own ‘Telespringer’ 36mm fork with manually adjustable spring pre-load. 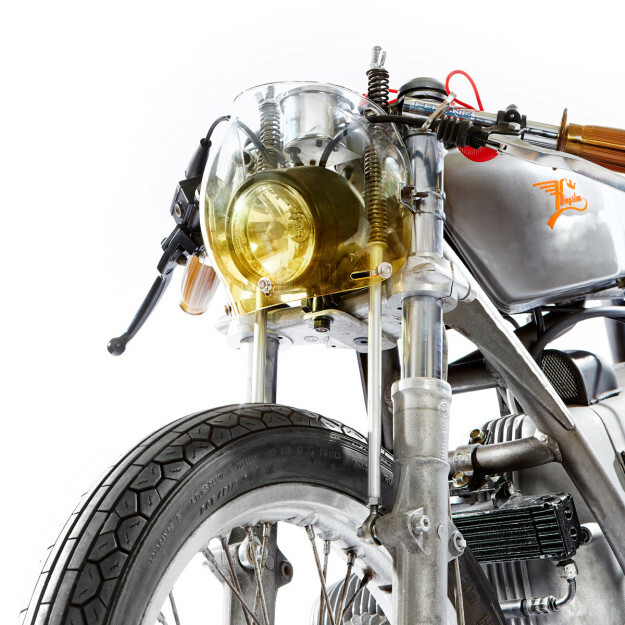 Just ahead of the Fehling clipons is a tiny bubble visor to protect the modern-style headlight. 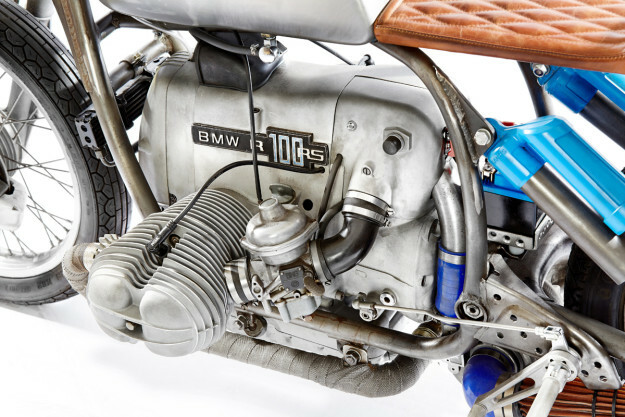 The R100/7 now weighs just 156 kilos with fuel (343 pounds). And with over 120 stout German horses showing on the dyno, it’ll go like a scalded cat. 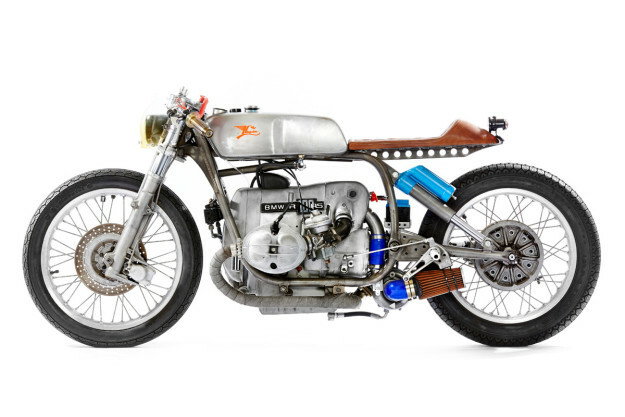 Maybe it’s time to revisit the whole motorcycles-with-turbochargers thing?